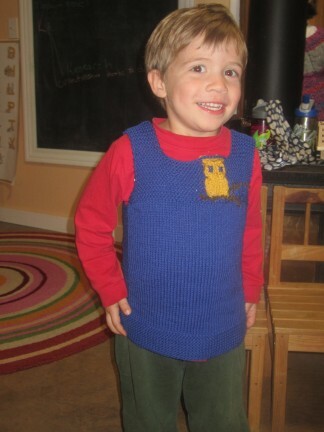 Well, I couldn’t make Kaia a sweater without making something for Leif. 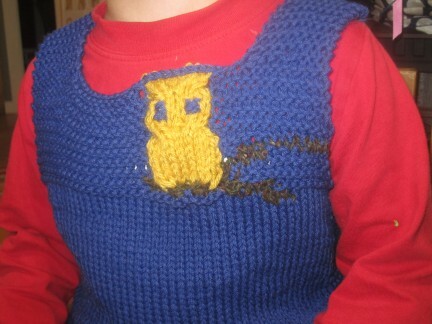 He loved her owls so much he insisted that I knit him a vest with an owl on it. 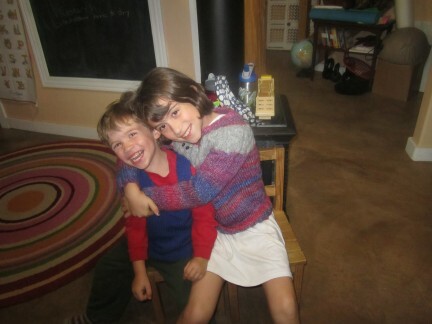 I think it turned out nicely. 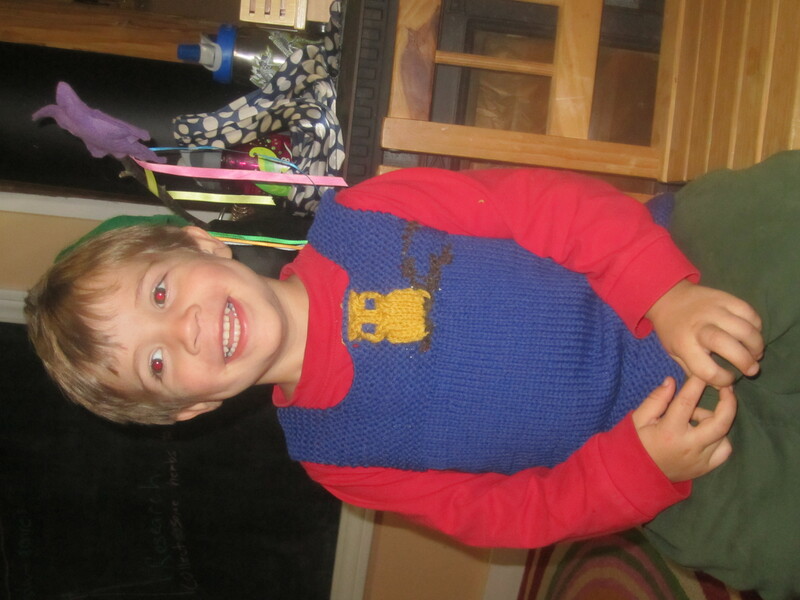 I knit it a size too big so he could wear it for more than one winter. 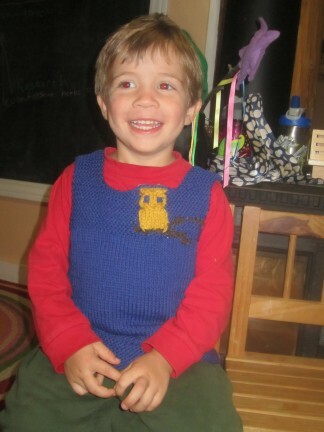 The pattern can be found on ravelry here.